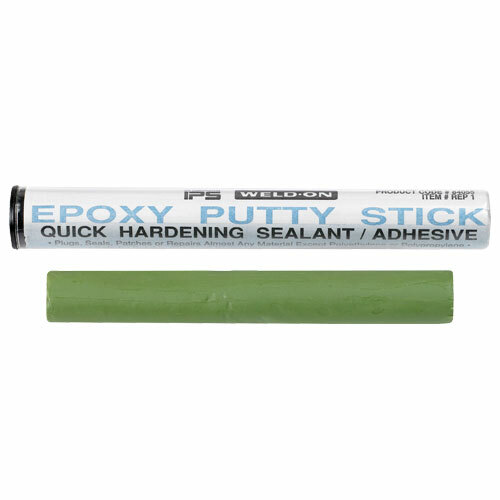 Plugs, seals, patches or repairs most materials except polyethylene or polypropylene. Non-toxic, safe for potable water line. Hardens in 20 minutes and cures in 1 hour.